Ineos, the petrochemicals giant controlled by Jim Ratcliffe, an outspoken advocate of fracking, has amassed rights to explore across vast stretches of northern England, says The Times. The government’s rules force companies to cease fracking for 18 hours after causing a tremor measuring more than 0.5 on the Richter scale. 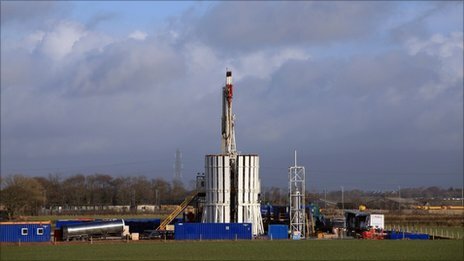 Over the past two months Cuadrilla, the only company to frack in the UK so far, has been forced to halt its operations in Lancashire six times after tremors above the threshold. You can thank the greens and the BBC for screwing our economy, with this lunacy. Why aren’t the same limits in place for piling works for windmills? The levels were set with the express intention of hindering progress. BEIS / DECC swerved FoIs inquiring if seconded NGO people were involved in the process of setting the limits. UK power cuts may fix the problem. It would be very interesting to know the qualifications of the idiots that set that requirement or is this another stitchup like the climate change act by the green machine in an attempt to take us to a time as depicted in Ayn Rand’s story Anthem. Using a non-crisis to ban effective, safe and cheap energy to shore up failed and costly wind. Typical climate consensus approach to policy. Anything below 5 or 6 would barely get a mention in earthquake-prone areas like California. this is so typical of the libs. They pick a stupid number and then scare the public that this cutoff is at the death and destruction line so the public rings the phones off the hook at parliament to get it set into law. It’s much like the 2.5 micron air particle nonsense in the US. Another sci-scam.